With the holidays fast approaching, you may be left searching for that perfect gift for a favorite dog or owner. Listed here are our top picks this holiday season. A simpler and / or less expensive solution to bath time would be a welcome gift for any pet parent. The Bissell BarkBath is the answer to common frustrations when bathing a dog at home. 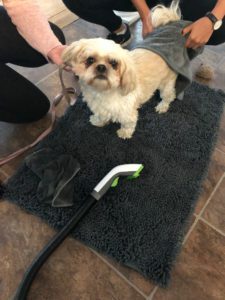 This portable grooming system allows owners to turn any area of their home into a grooming station. The nozzle is designed to target dirt beneath fur, while light suction action pulls shampoo and water from the pup into a dirty water tank. For eco-minded pet owners, the Bissell BarkBath is also a plus because it uses less water than a traditional bath! Learn more about how the bark bath works. 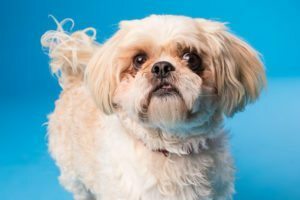 What pet parent can resist taking photos of a beloved dog or cat? Giving the gift of a professional photo shoot is a thoughtful gesture that is guaranteed to be remembered for years to come. The photographers at Toronto-based Off Leash Studio specialize in capturing each dog’s unique personality, making this gift perfect for owners of any special pup. 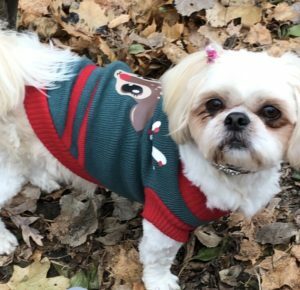 If the pet (or human) on your list is especially festive, why not consider a canine ugly Christmas sweater? Blueberry Pet has six designs to choose from, available in six different dog sizes. Nothing says holidays quite like a warm and cozy piece of clothing! What fur mama or dad wouldn’t love a portrait hanging proudly on their wall to show anyone who comes into their home that they have the cutest baby ever! Brighten up those white walls with custom artwork painted just for you. 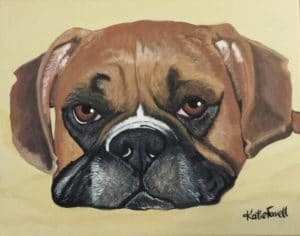 You can choose any picture of your baby that you love and Katie will paint a portrait that will blow away your expectations. You won’t have your piece in time for the holidays but give the gift to someone special (or yourself) and let them choose their perfect picture to turn into art. Learn more about Katie and her work here. This is one of my favourites for any dog owner in your life. Every dog owner has the same problem when they go for a walk. Where to put the poop bags, ball, treats, water bottle, keys, money, phone??? Going out with loaded pockets is not fun! Jasper Swag have solved this problem for you, make walks about enjoying walks and not about weighing down your pockets! And as an added bonus no more treat dust lining your jackets 🙂 You will not go wrong giving the gift of a Jasper Swag bag this holiday season! 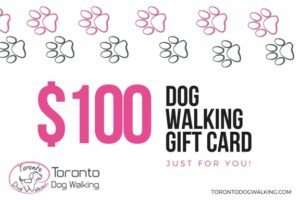 Another gift card option that would be great for both dog and owner is a gift certificate for dog walking. 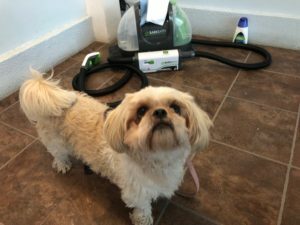 Not only does this option save time and energy for the pet parent, but it provides dogs with a healthy exercise outlet from knowledgeable dog lovers, as well as a chance for important socialization. Whether the dog owner on your list has used professional dog walkers in the past or is new to the process, this gift is sure to please! The holidays are a wonderful time to be philanthropic. 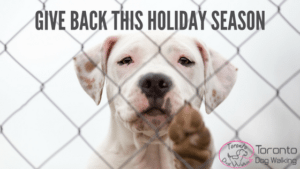 If the person or pet on your holiday shopping list has a big heart, consider making a donation in his or her name to a local charity or rescue. 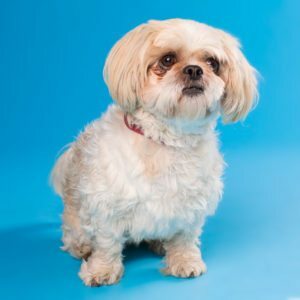 Worthy recipients in the Toronto area include the Toronto Humane Society, TEAM Dog Rescue, and Black Dog Rescue. This option is an especially nice way to say “thank you” to facilities from where a special pet was adopted. What do you give the dog who has everything? 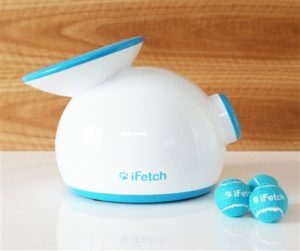 The iFetch Interactive Ball Launcher is a great gift because it enables dogs to play fetch without the help of a human. The dog simply drops a tennis ball into the top of the machine and then it is automatically launched 10 – 30 feet away. This gift is also perfect for the pet owner with a sore or tired arm! Canine agility training is more than just teaching a dog new tricks. This fun and fast paced activity allows dog owners to bond strongly with their dogs, improve communication skills, and provide exercise for both dog and owner. In addition, dogs receive necessary socialization and mental stimulation as they encounter new challenges. All About Dogs is a Toronto-based training facility that offers beginning to advanced agility classes. A gift certificate for a training class would be a great gift for the dog owner on your list who is looking for a creative way to bond with and exercise an energetic pet. 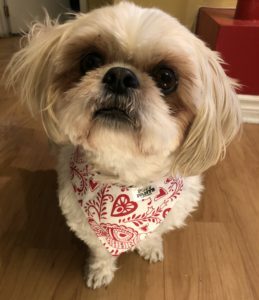 Support Local Toronto Based Pet Businesses this holiday season. Check out our Toronto Dog Holiday Gift Guide here.